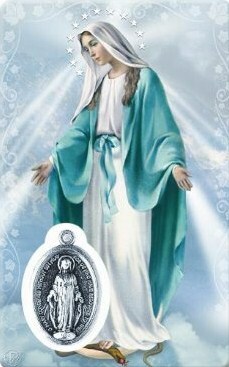 Pocket-sized laminated holy card measures 2" x 3 1/2" and features a picture of Our Lady of Grace. Embedded in the Holy Card is a Miraculous Medal. The "Hail Mary" prayer is featured on the reverse side.